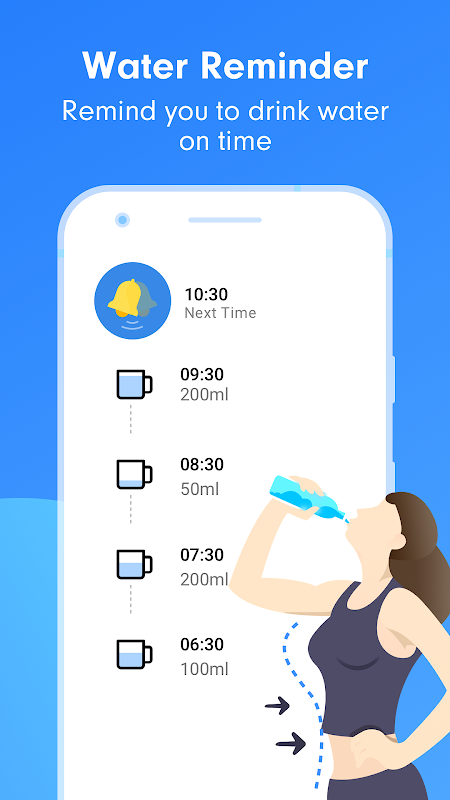  💧Drink water reminder with Water Tracker, Water Alarm, and Water Intake Record. Water Reminder - reminds you to drink water timely! Save the body in short supply after workout and yoga, enhance immunity, release stress and get rid of fatigue after work… you could stay water hydrated as long as you have a drink water reminder! -Want to be healthy and vibrant? -Want to detoxify your body and be beautiful? -Want young skin full of moisture and bursting with life? The great power of water comes with regular daily water intake. Get Water Reminder, start to drink water and record your water intake! Core Features: 💧Everyday Drink Water Reminder 💧Records of Daily Water Intake 💧Customizable Water Cup 💧No reminder during sleep time Water Reminder is your faithful drinking water pal. Drink Water Reminder alarms you to drink water in time. 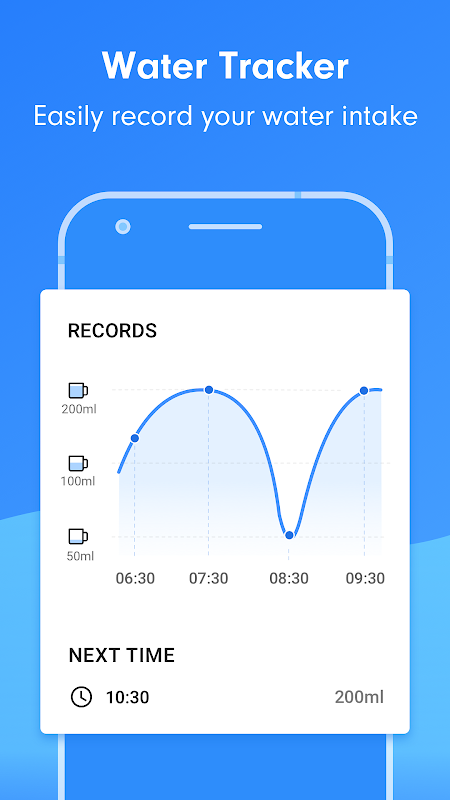 Records of Daily Water Intake feature records your drinking water status. You can rewrite water intake records. And you could customize your drinking cup for different capacity. 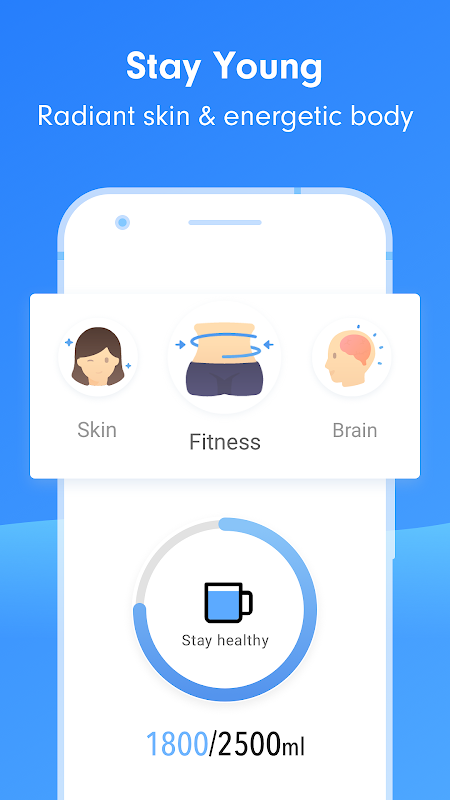 Water Reminder – your personal water tracker. ❓How it works? 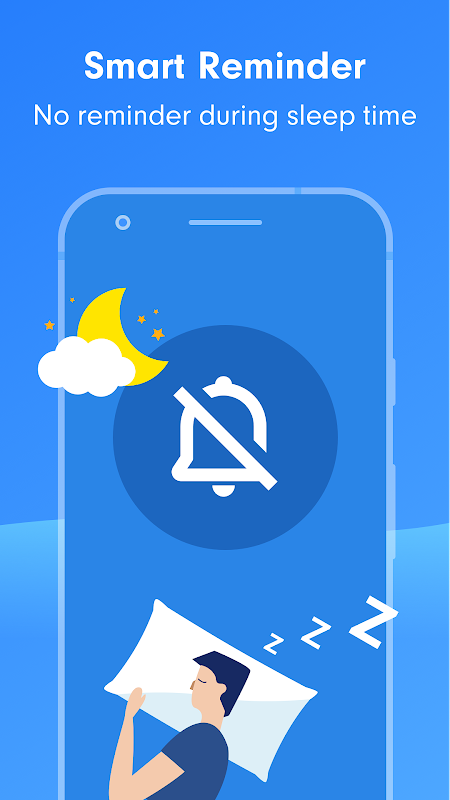 Drink Water Reminder - Your exclusive drinking water alarm clock and your sweet hydro coach, monitor you to drink more water. Make your skin burst with life and keep your body in shape! Daily Water Intake - Your water butler. Customize your daily water intake and regulate your water alarm by recording how often and how much water you drink. Daily target – Keep a healthy drinking water balance. Help you build a proper water diet by tracking your daily water drinking habits. Custom Water Cup – switch the size of the water cup. Don't know how much water to drink in a day? -It doesn't matter. Water Reminder has a special cup for you. Don't know when to drink water? -Don't worry. Water drinking reminder will keep a record of your drinking habits and remind you to drink more water on time. Don't know if Water Reminder works? -Take it easy. 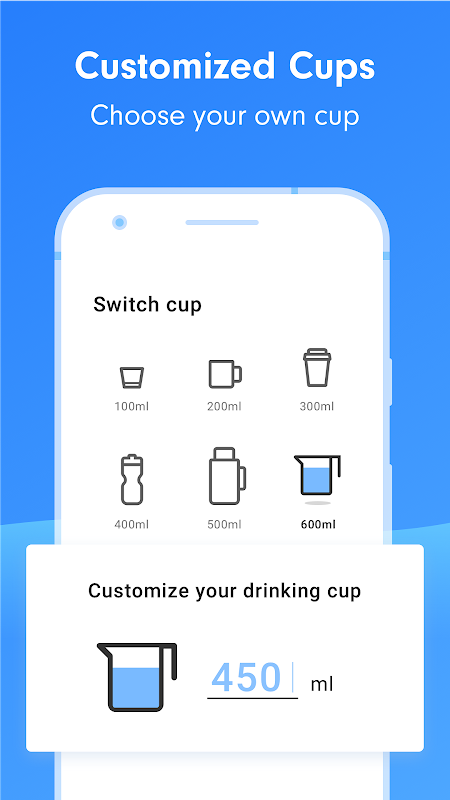 Get a cup and try to record your water intake today with Water Reminder. Drink water and be healthy! Water Reminder is always here by your side, calculates how much water you need and reminds you to drink water on time. Try to record your daily water intake and keep a well water balance with water drinking reminder now. Ok, high time to water your body and release the power of water. Your health is worth it! 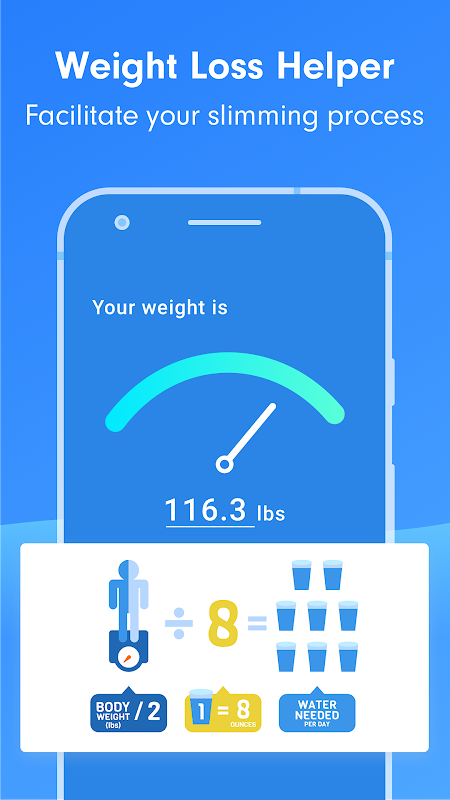  Website: Drink Water Reminder：Weight Loss Helper | Smooth Apps Studio.  Is Drink Water Reminder：Weight Loss Helper yours? Claim it!